Despite the many benef its of breastfeeding, African American mothers have the lowest rate of breastfeeding initiation and duration. The Centers for Disease Control and Prevention (CDC) noted that from 2011 to 2015, the percentage of women who initiated breastfeeding was 64.3 percent for African Americans, 81.5 percent for Whites, and 81.9 percent for Hispanics. And while 79.2 percent of infants began breastfeeding, only 20 percent breastfed exclusively for 6 months, and 27.8 percent met the recommended breastfeeding duration of 12 months. 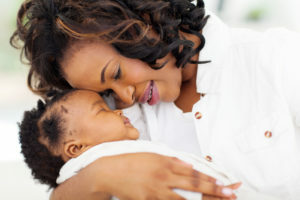 The Surgeon General’s Call to Action to Support Breastfeeding noted that even while researchers control for family’s income or education level, breastfeeding rates for African American infants are lower than for White infants at birth, 6 months, and 12 months. Why do these racial disparities persist? 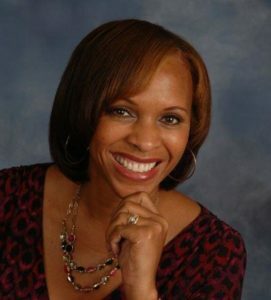 Here is what some research is showing us: (1) African American women tend to return to work earlier after childbirth and are more likely to work in environments that do not support breastfeeding; (2) healthcare settings that provide supplemental feeding to healthy full-term breastfed babies during the postpartum stay decrease the likelihood of exclusive breastfeeding; (3) healthcare settings that separate mothers from babies during their hospital stay; (4) lack of knowledge about the benefits of breastfeeding and the risks of not breastfeeding; (5) perceived inconvenience—a breastfeeding mother may have to give up too many habits of her lifestyle; (6) the mistaken belief that “big is healthy,” leading moms to introduce formula early; (7) the cultural belief that the use of cereal in a bottle will prolong the infant’s sleep; and (8) embarrassment—fearful of being stigmatized when they breastfeed in public. As noted earlier, breastfeeding may reduce the risk for certain diseases, like obesity and type 2 diabetes; both are major causes of morbidity and mortality in adults in the United States, particularly for African Americans. Could it be that early life experiences, like breastfeeding, somehow have a protective effect against such diseases later in life? If we approach this question with a “life course perspective,” we might think about intervening as early as preconception or pregnancy to address these disparities before they develop. According to the U.S. Preventive Services Task Force (USPSTF), we should actually initiate our efforts early by providing interventions during pregnancy and after birth to support breastfeeding. August is National Breastfeeding Month, so let’s galvanize our efforts and raise more awareness about the importance of breastfeeding and the positive health effects it can have for both baby and mom. 1. Anstey, E., Chen, J., Elam-Evans, L. and Perrine, C. (2017). Racial and Geographic Differences in Breastfeeding — United States, 2011–2015. Morbidity and Mortality Weekly Report, 66(27), 723–727. 2. Bibbins-Domingo, K., Grossman, D. C., Curry, S. J., Davidson, K. W., Epling, J. W., García, F. A., . . . Pignone, M. P. (2016). Primary Care Interventions to Support Breastfeeding: US Preventive Services Task Force Recommendation Statement. JAMA, 316(16), 1688–1693. 3. Johnson, A., Kirk, R., Rosenblum, K. L., Muzik, M. (2015). Enhancing Breastfeeding Rates Among African American Women: A Systematic Review of Current Psychosocial Interventions. Breastfeeding Medicine, 10(1), 45–62. 4. American Academy of Pediatrics. (2012). Breastfeeding and the use of human milk. Pediatrics, 129(3), e827–41. 5. U.S. Department of Health and Human Services. (2011). The Surgeon General’s Call to Action to Support Breastfeeding. Washington, DC: U.S. Department of Health and Human Services, Office of the Surgeon General. Available at http://www.surgeongeneral.gov/library/calls/breastfeeding/index.html. 6. CDC. Racial and Socioeconomic Disparities in Breastfeeding — United States, 2004. (2006). Morbidity and Mortality Weekly Report, 55(12), 335–339. 7. Centers for Disease Control and Prevention. (2002). National Diabetes Fact Sheet: General Information and National Estimates on Diabetes in the United States, 2000. Atlanta, GA: U.S. Department of Health and Human Services, Centers for Disease Control and Prevention.